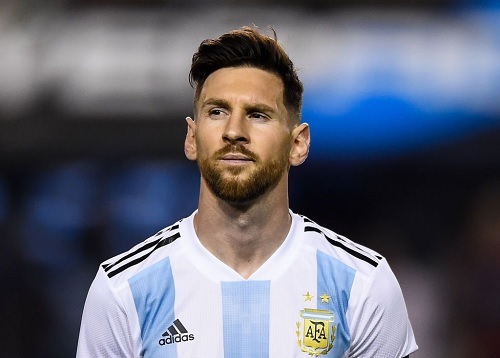 Argentine captain, Lionel Messi has named eight players who he believe will shine in Russia 2018 World Cup, and left out the mention of his rival, Cristiano Ronaldo. Lionel Messi has picked out eight players who he believes will shine at the 2018 World Cup in Russia, and there are some notable omissions. The Barcelona icon, widely regarded as the greatest to ever play the game, remains frustrated by a lack of success on the global stage with Argentina. At 30 years old, Messi’s opportunities to lift the trophy are running out and Jorge Sampaoli’s side are viewed as outsiders summer in Russia. Brazil are the favourites for the title and Messi believes Neymar and Philippe Coutinho could take the tournament by storm. However, the forward failed to mention Portugal and Real Madrid superstar, Cristiano Ronaldo when asked who he thinks will impress. ‘Brazil have Ney and Philippe,’ he told El Mundo Deportivo. He added: ‘Spain have Andres Iniesta and Silva. Germany don’t have any one star but they are very solid. ‘Belgium have Hazard and De Bruyne. France have Griezmann and Mbappe. Messi will be hoping to lead his side to a third World Cup glory in Russia having lost out in the finals in the 2014 edition in Brazil. Argentina will kick off their campaign against Iceland before battling Croatia and Nigeria in group D.
0 Response to "Messi Ignores Ronaldo, Names Eight Players He Believe Will Shine At 2018 World Cup In Russia"